Exactly. You wonder if it’s really organic. You wonder if it’s real gold. You wonder where it came from. Well, you hope that the store you’ve purchased it from doesn’t wonder these same things. It’s true, the upfront store could easily false advertise and make fraudulent claims about a product, but there’s also something behind that. There’s a complete supply chain that runs from the small organic farm or the gold miners all the way to the shelf and eventually your hands. With so many steps, there are a thousand and one places for fraudulent activity to intervene and leave you paying for a product that is by no means organic and certainly not solid gold. Does this mean if you want to make one hundred percent sure your product is legitimate that you have to get in your car and drive to the organic farm or pay someone to authenticate your gold? Sorry, that’s before blockchain gets involved. If applied across the spectrum, the blockchain system could very well solve the problem of fraud throughout supply chains around the world. 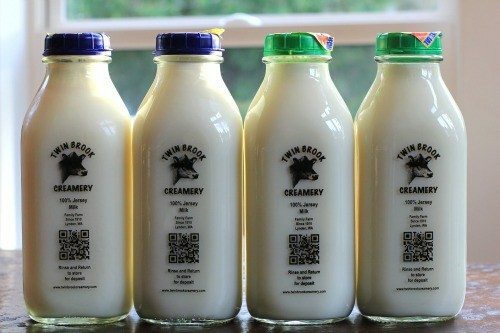 Your organic milk that you have in your fridge right now . . . that’s not really organic — but the brand on the shelf right beneath it — well, that is.